Are you interested in buying a luxury home in Northwest Bakersfield? Talladega Homes for sale may be just what you’re looking for. This luxury home community is located on the corner of Palm and Rudd in Northwest Bakersfield. The Talladega community stretches from Palm north to Rosedale and from Rudd east to Renfro. It’s popularity in NW Bakersfield is synonymous with its SW Bakersfield counterpart, Seven Oaks. If you’re considering Seven Oaks, you’ll want to strongly evaluate the benefits of each community. One of the benefits of the Talladega community over Seven Oaks are the large lots, homes built-in the Talladega community sit on over-sized lots. 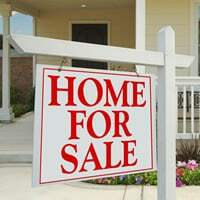 Another large positive of purchasing a Talladega homes for sale is that there is no HOA fees. The Talladega community does keep a tight policy on the CCR’s in the area to ensure a safe, clean neighborhood for its occupants. Homes for sale in Talladega range in price from $600,000 to over $1,000,000+ with custom homes primarily being built within the neighborhood. Crime for the community is lower than the city average for Bakersfield and offers some of the top schools in the Rosedale Union School District such as Liberty for grades 9 through 12, Rosedale Junior High for 7th and 8th and Centennial for elementary students. Now is a great time to buy a home in Talladega. Median homes prices have been steady and some of the higher priced homes may come at a slight discount. When you’re ready to consider buying in this beautiful community, please let us know. If you’d like more information on Talladega homes for sale, please contact us. We’d appreciate the opportunity to assist you in your next purchase!